Artificial lifts are employed during secondary extraction phase of an oil well. During secondary extraction 15%-30% of the oil can be extracted from the oil well. Secondary extraction is significant in oil & gas industry as it has higher recovery rates than primary and tertiary extraction combined. As a result, artificial lifts have a significant effect on oil & gas industry and vice versa. 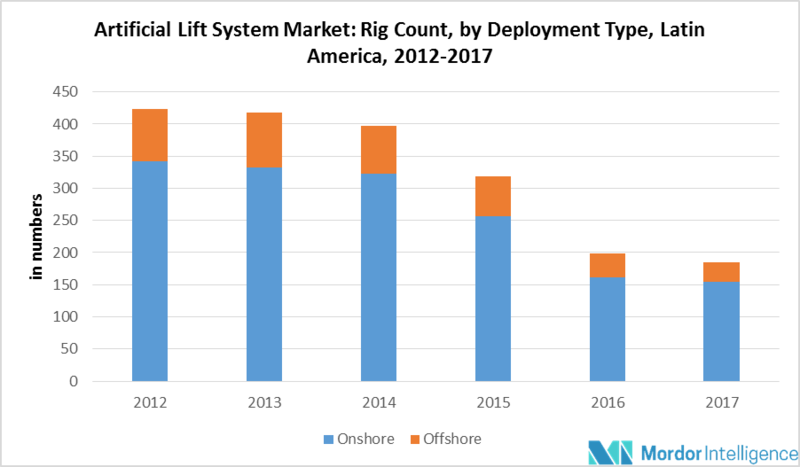 The need for enhanced recovery rates, growing number of wells that require secondary extraction, increasing demand for energy & petrochemicals and technological advancements that are enabling companies to economically extract oil from challenging areas are some of the factors driving the growth of artificial lifts market. Most oil & gas fields operating now have been in production since few decades. They are either matured or at the end of their production life. The challenge of meeting a 40% increase in demand for oil over next two decades may seem daunting unless productivity of existing wells increases or new sites for production are found. The new discoveries are increasingly in remote geographies and difficult environments, such as deep under water or from unconventional sources, such as shale oil and shale gas, where associated risk stands to be very high. In addition, the new discoveries are very small as compared to the historically huge assets, such as Texas’ Spindletop or Saudi Arabia’s Ghawar. Hence, such concerns have been increasingly attracting the attention of the market players toward improving the recovery rates of existing fields, thereby positively impacting artificial lifts market. North America dominates the global artificial lift systems market. With shale discoveries, exploration & production activities have noticeably increased in the region. The market players operating in the region aim to maximize asset value through economies of scale by developing larger multi-well facilities. For this purpose, the companies are employing artificial lift technologies with the latest techniques in order to reduce risks and increase production, which is likely to boost the demand for artificial lift systems in the region during the forecast period. Besides this, a growing number of matured oilfields in the region are likely to add to the demand for the artificial lift systems in order to improve the productivity of the matured fields. January 2018: West Texas’ surging Permian Basin continues to add new drilling activity. January 2018: The Trump administration allowed new offshore oil & gas drilling in nearly all United States coastal waters, giving energy companies access to leases off California for the first time in decades and opening more than a billion acres in the Arctic and along the Eastern Seaboard. Identify the drivers, restraints, and opportunity possessed by the global artificial lift systems market with in-depth analysis. Identify the most dominating type of artificial lift system with forecast market estimates. Identify the largest, fastest growing, and significant regions during the forecast period with in-depth analysis.